Join us for an exciting ERES Industry Seminar on "Tourism and Real Estate". In a series of presentations and a panel we will discuss current developments in tourism, new challenges like sharing platforms, and their implications for the development and management of tourism assets like hotels and tourist resourts. What investment strategies have worked in the past? Will these investments be promising in the long run? What are the financial and organisational strategies of the tourism industry in terms of real estate? How important is the local context for tourism real estate? How does the local context relate to the international developments in the industry? - These are just some of the questions we will raise and discuss. In its traditional Industry Seminars, ERES, the European Real Estate Society brings together practitioners, consultants, and researchers for a fruitful exchange of perspectives and ideas. Participation is free, registration is required because of limited capacity. To secure your participation in the ERES Industry Seminar 2018, go to Registration below and fill in the registration form. The program of the ERES Industry Seminar is as follows. Participation in the ERES Industry Seminar is free of charge, registration is required due to limited capacity. To secure your participation in the ERES Industry Seminar 2018, fill in the form below. The ERES Industry Seminar will be held at Modul University, Am Kahlenberg 1, 1190 Vienna. To get to Modul University, take the U4 subway line to Heiligenstadt. 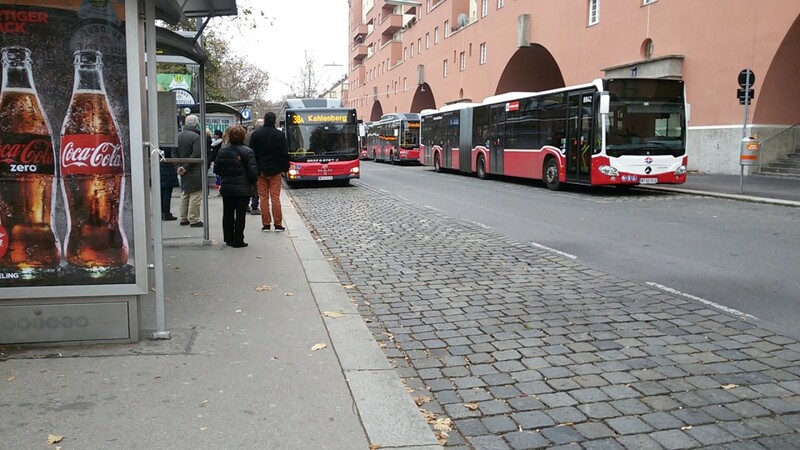 Change to bus "38A" to "Kahlenberg" and ride the bus for about 35 minutes to the stop "Kahlenberg". Use the online route planner of Wiener Linien to plan your trip. The European Real Estate Society (ERES) was established in 1994 to create an international real estate network between academics and professionals across Europe. ERES is dedicated to promoting and advancing, throughout Europe, the real estate discipline and specifically property based research. The Society incorporates national research societies, academic researchers, practitioners and doctoral students engaged in real estate. The core activities of ERES include an annual conference, industry seminars and education seminars. The Journal of European Real Estate Research, published in partnership with ERES, provides a forum for the dissemination of research articles, information flow and debate on European real estate issues. ERES is a non-profit organisation affiliated to the International Real Estate Society, an organisation which provides a wider contact base in real estate co-operation at a global level. To encourage research and promote education in real estate and closely allied areas, especially in European countries. To improve communication and exchange information in real estate and allied matters among college/university faculty members and practitioners who are teaching or engaging in research in property, real estate and land use. To facilitate the association of academic, practising professional and research persons in the area of real estate and closely allied areas. To encourage professionalism in practices related to real estate and closely allied areas as well as other activities promoting the purposes of the foundation. To organise events where researchers and educators in the broad area of real estate can interact. To organise events where researchers and decision-makers from both academia and practice can exchange their views with respect to the research needs in the field of real estate, but also discuss the best ways of using research results to enhance decision-making in the field to promote in any other feasible way the development of real estate research and education in Europe. Für den Inhalt verantwortlich: Gunther Maier, Wirtschaftsuniversität, Welthandelsplatz 1, 1020 Wien.